We welcome visitors and new members. Why not come and try this fascinating game, make friends and enjoy the outdoors. Our lawns are open year round and we offer three free sessions before you commit to membership. We have four lawns in a private area at LLoyd Elsmore Park. While you are training we provide equipment, all you need is flat soled shoes. Croquet can be played by both young and old, men or women. You can play competitively or just for the enjoyment. 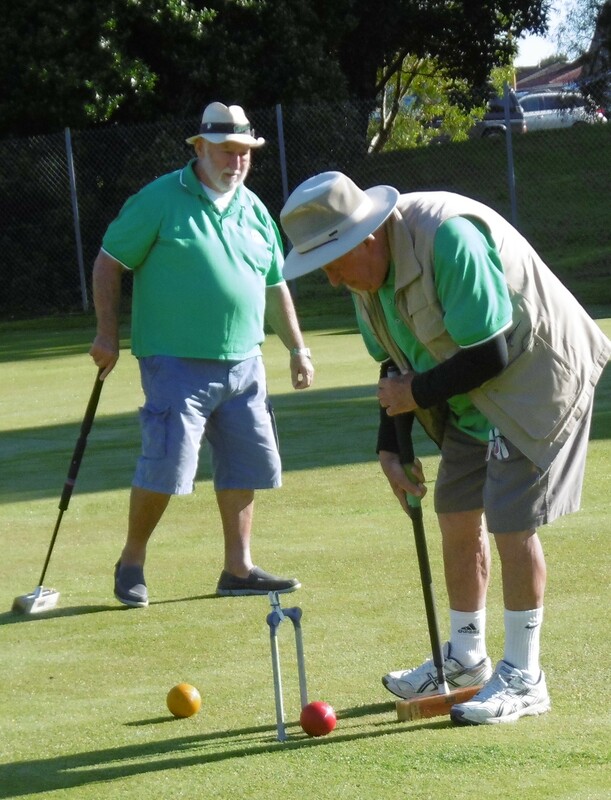 Croquet is a very easy game to learn and we provide some of our members to coach you. Children 13 years and over who do not like contact sports, would enjoy the tactics of this game. It is a game of skill and strategy rather than strength. Why not come along and give it a go? If you would like more information, please telephone any of our members. We have four lawns in a private area at Lloyd Elsmore Park.